A Zaspa pyramid of animals, painted in exceptional circumstances. With the scaffolding already prepared on Pilotów street, one of the invited guests cancelled the trip to Gdańsk. 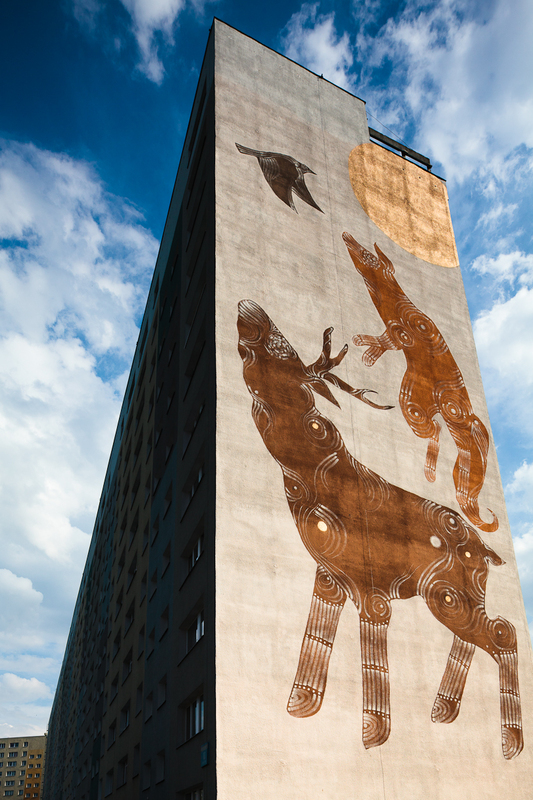 In the heated search for a replacement, the Gdańsk artist Joanna Skiba was persuaded to step in – her first experience of a 36 metre-tall wall.